I recently started an herb garden so I have been adding herbs to everything. 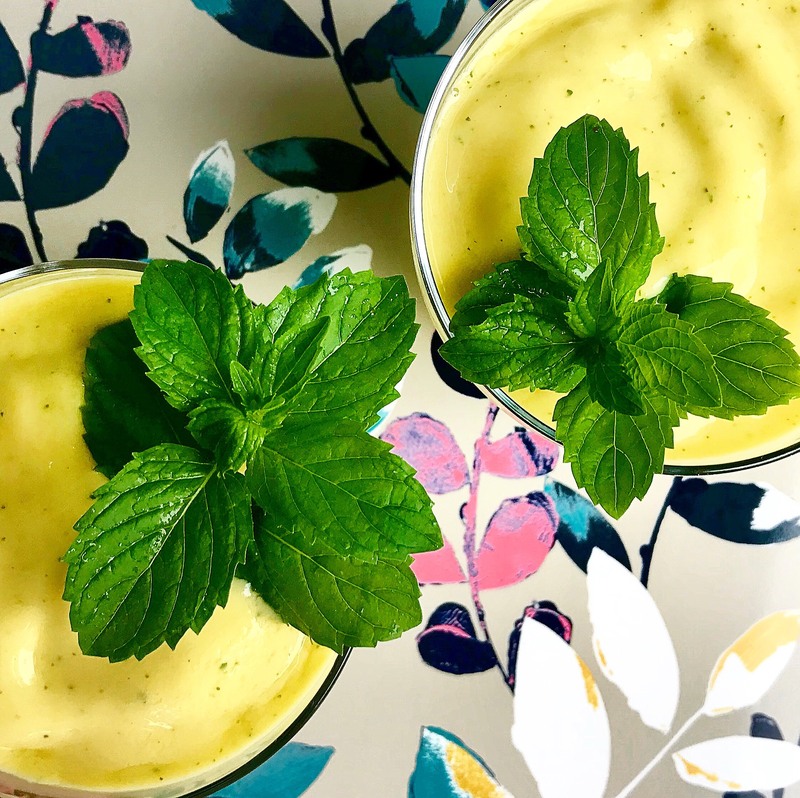 The mint in this smoothie gives it a freshness, and mixed with the creamy kefir and mango and a bit of ginger for spice, what you get is the perfect summer drink to enjoy on the patio. Dissolve the ginger tea in 1/4 cup of warm water. In a blender, add kefir, mango, ginger tea, and mint leaves. Serve immediately. Garnish with mint. You can use yogurt instead of kefir, but I love kefir. It has so many health benefits. The ginger tea is what sweetens the drink (aside from the mango). I like the brand below, but what you need is the ginger tea that comes in granules. If you can’t find it, add 1 teaspoon fresh ginger and 2 tablespoons of honey or sugar. This can be made in advance and kept in the fridge, but is best when made fresh. Want to spike it? Add white rum.